The best bang for your buck for personal development is to hire a coach. This philosophy has transcended sports and is making its way into the business and educational sectors. Highly successful CEOs now hire coaches to help them make better decisions. The best school districts in the country employ instructional coaches for their teachers. The greatest athletes in the world have been doing it for years and now we have data that shows it works both inside and outside the world of sports. Now you can even have your very own UAV coach, Alan Perlman. Alan Perlman started the UAVcoach.com website because he is passionate about the drone industry. He wants people to be able to experience the thrill of flying a drone. UAV Coach is full of resources for the beginner to the advanced and professional pilot. His development of the UAV Coach website has helped inform countless people about how to fly drones safely, have fun and even earn a living doing so. The Drone Pilot Ground School was developed in partnership with UAV Coach to help pilots gain certification and develop a pilot’s mindset. The Drone Pilot Ground School has helped hundreds of pilots pass the FAA’s Aeronautical Knowledge Test for a Remote Pilot Certificate. We have done some research and we believe it is the best class you can take. $299 may seem initially to be expensive, but it is money well spent. Think about spending $150 to take the test and then halfway through realize you weren’t prepared. Studying on your own will cost you countless hours, assuming you have all the correct resources. The Drone Pilot Flight School has done the hard work for you and put it together in a fantastically organized self-paced class. In addition to the awesome resources that the Drone Pilot Ground School provides, the course offers free personal assistance from professional pilots like Alan. The Drone Pilot Ground School from UAV Coach is the only school to offer this level of personalized service. The FAA test is intense and covers a lot more than just drones. Do you know your charts, codes, and maps? The success rate for pilots that take his class is over 97%. The course is designed to help you develop a “pilot’s mindset.” It will, of course, help you to pass the exam, but Alan’s true goal is to help you become a better and safer pilot. I think we can all agree that is in the best interest of everyone in the industry. Work from your computer, phone or tablet 24/7 where you want and when you want. The online learning environment that the UAV Coach provides is first class and industry leading, but the website is much more. 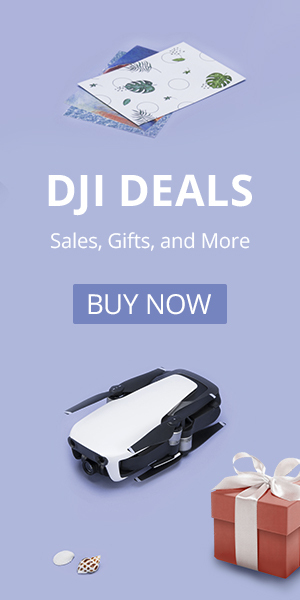 It is an incredible resource for all drone pilots. The website has collated detailed information on drone law, drone jobs, drone accessories, drone companies and of course drones themselves. It has been a great resource for us here at Half Chrome. You will be hard-pressed to find another website that has the wealth and breadth of information that the UAV Coach has collected. The UAV Coach is well established and well respected in the drone community for good reason. The UAV Coach is a great place to start if you are interested in locating a drone-related job. One of the best resources the UAV Coach has to offer is the UAV Coach Community Forum. The forum is an extensive community of drone pilots and enthusiasts. There are groups for everyone here. The forum covers threads for mapping, photography, racing, agriculture as well as other industries. It has threads for the different drone manufacturers. 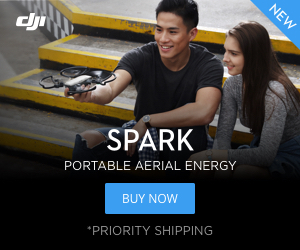 If you are a DJI, 3DR, Yuneec, Parrot enthusiast he has you covered. If you want to build your own then come chat with some that have already done so. Maybe you have some questions about drone law or the exam then stop on by. The UAV Coach Community Forum is a wealth of knowledge for the beginner to the advanced pilot.